Michael Fox started is career as a tradesman and progressed through university study to 17 years as a marketing executive with multinational telecommunications company Telstra. 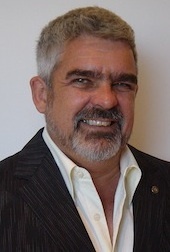 Michael now works as an executive coach and teaches management at Griffith University Business School in Queensland. Michael has a broad understanding of cultural difference built up through experience as tradesman professional, small business owner and corporate executive, now coach and university lecturer/tutor. Combined with this is a wide range of experience coaching and/or teaching international professionals and students, as well as providing management expertise in different not-for-profit organisations where engagement of unpaid (volunteer) staff tests leadership skills to a whole new level. Michael’s purpose is improvement of management and leadership globally, in particular, moving individuals, teams, organisations, and communities beyond simple tolerance to truly understanding and valuing the power of having different ways of seeing a situation.